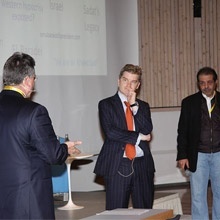 February 17, 2011, Congress Centre at Davos, Switzerland. 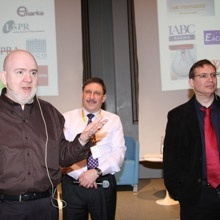 Paul Holmes' initial opponent, the marketing expert Garett Johnston, could not come to the picturesque Davos Klosters, yet Marshall Sponder, blogger at WebMetricsGuru.com, was quite ready to take over and debate from the point of view of social media metrics and web analysis. The verbal fight took over 2 hours and was applauded every 5 minutes. Paul Holmes: "The social media proved they can overthrow governments. Marketing companies take hundreds of thousands of dollars to advise companies and afterward PR experts must restore the mass for just couple of hundreds." 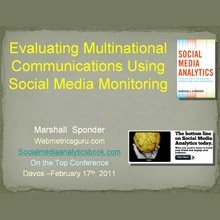 Marshal Sponder: "Quite soon the PR companies all over the world will be headed by marketing analysts." Rated as the top event! Paul: Do you need a Chief Analytics Officer? Interview with Paul Holmes, taken by RIA Novosti. Communicating Innovations - how to communicate something that does not even exist? 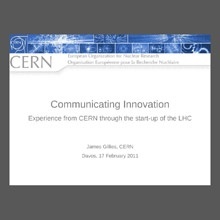 In 2010, the physics programme of the LHC got underway at CERN in the full glare of the media spotlight. James Gillies explained how the laboratory's communication team worked in order to turn such an esoteric subject as particle physics into a truly hot topic, and described how the lab made an opportunity of everything that came its way, from Angels and Demons to black holes! "I learned a lot from this case study!" Rated among the top 3! 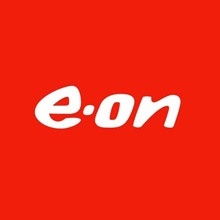 Older institutions with an international remit face a particular dilemma about how to adapt to a 24/7 online news agenda. Geographical scope, different languages and varied cultural styles are only a small part of the puzzle. Communicators of large need to know how to bridge the gap between the old and the new, to create means of delivering clear messages without undermining the basic principles of their organisation. 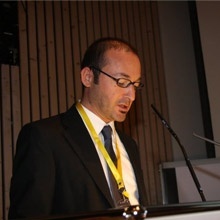 Daniel Höltgen views the responsiveness to breaking news stories, the ability to adapt to the rolling news schedule in different countries, and the emphasis on strong messages as the key to effective communication. Rated among the top 10! The presentation contains a video clip. View the video clip here. Is Social Media viewed as such by the media? Well, one thing is for sure - with the advent of the interactive tools the audience is no longer the same - everyone can become a publisher or a media. As the prominent blogger Tom Foremski puts it, "today every company is a media company", and quite often proactive users wish they could influence the editorial decision. Would that make them competitors to professional communicators? Most likely... A main trend in 2010 was the general dive into the social networks world. It is not the Reader who is watching the media, but the media that are now striving to let the reader into a circle оf network friends. 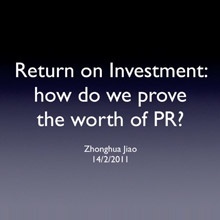 The PR + marketers challenge is to mediate between the media and the reader, while preserving the due agenda. ROI of SM for internal comms: How organizations should apply collaborative and interactive social media tools to enhance productivity and communication? 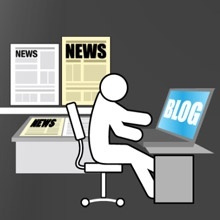 • The internal use of social media – why should you even think about it? 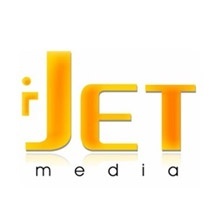 • What comes first – corporate cultural readiness or the social media project? • How to implement and measure a social media strategy? 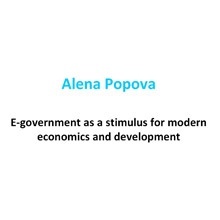 • What about “control” or “governance” – is it compatible with the social aspect? • Tools, tips & tricks from a practitioner. Revealing your personality and passion is the key to building relationships and being successful in Social Media. 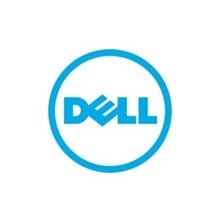 In the past 4 years Dell has evolved its use of SM - from a core team focusing on experimentation and innovation, to a formalised strategy and structure for a broad team to engage. Today, customers connect directly with Dell - to discuss technology related topics with the employees, to discover exclusive offers, and to connect directly on Dell news. Kerry shared learnings from Dell’s communications team and best practices of integrating social media into an overall PR campaign. Rated among the top 5! Multinational SM campaigns - How can multinational organozations create a social media campaign to target a number of markets? The presentation focuses on the processes of Setting up, Measuring, Optimizing, and Evaluating multinational/multilingual communications and listening campaigns via Social Media Monitoring platforms. 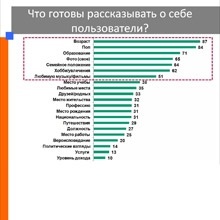 A key point are some practical techniques that would facilitate communication experts, equipped with the right tools and methodology, to efficiently marshal and analyze collected social data and summarize world opinion available online. A specific demonstration is given on the use of listening platforms like Radian6, Sysomos, BrandWatch and Intergrasco. The author also shares examples of how social media monitoring can be successfully employed to influence positive opinions and effective events. The relationship between the media and terrorism is well documented and well understood. However, what is less well understood is the deliberate use of strategic communications as a tool in counter-terrorism activities. 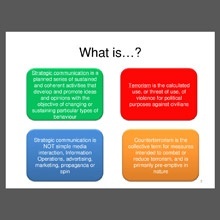 The paper presents two broad perspectives: one from the point of view of using strategic communications - in order to generate public support for counter-terrorism initiatives, and the other from the aspect of strategic communications as information warfare specifically aimed at disrupting and disorientating the enemy’s capacity to conduct terrorist operations. 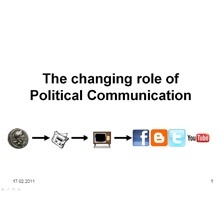 New instruments of interaction and participation provided by Web 2.0 can be extremely beneficial for political leaders. They can be the cornerstone of a new means of political communication. They raise hopes and expectations that the internet is not just a platform for the exchange of information, but also a place where politics can be created jointly, in a real democratic experience. Indeed, with its more horizontal structures and its more democratic options for agenda-setting and information, the internet can become an arena for true democracy. 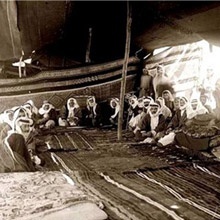 The “Majlis” has always been a platform of governmental communication in the Arab history, where the chief of the tribe opens his house and allows every one of his subjects to come and talk to him directly with their complaints, disputes and issues, while he acts as a judge, governor or army commander. The presentation reviews the experience of three Saudi ministers who use new media as an extension for direct communications with citizens, realizing they deal with a population of very young (65% under the age of 25), educated (low illiteracy rate) people who are open and constantly connected to the world (fast growing internet connections and very high mobile penetration). Via Facebook, the ministers of Justice, Culture & information, Labor, maintain truly effective communications with their audiences. Rated among the top 7! 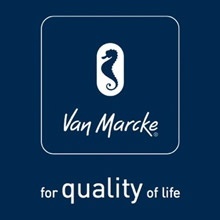 What does WEF 2011 teach us? 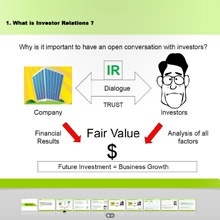 Based on the general role and function of investor relations, a consistent expectation management is seen as crucial in deriving a fair and sustainable valuation of a company. An adequate level of transparency as well as a constant dialogue with investors is required in order to reduce information asymmetries, which otherwise lead to a mismatch of expectations between the various internal and external stakeholders. Andrei Izmailov takes a closer look at a couple of cases in order to explain the way that certain companies handled negative news announcements and how that later affected the prices of shares. The tremendous growth in sociability over the Internet is offering new amazing opportunities to promote any good or service in social networks and web communities. The presentation discusses opportunities and shares existing experience of marketing and advertising in the social game space. London 2012, Sochi 2014, Rio de Janeiro 2016... EuropArea is paving the way for an entire continent to highlight its multiple identities and yet, unite peacefully to the benefit of all stakeholders. External communications’ role is to generate positive attitude and energy, to convey a message of excellence for product and service, and to establish EuropArea as a partner and trusted adviser to each of its stakeholders. 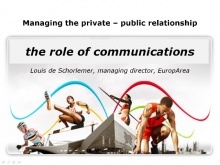 This case study offers a review of the communications strategy and aims used in the EuropeArea project. 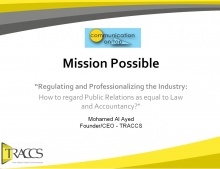 Regulating & professionalizing the industry: how to regard the PR profession as equal to Law/Accountancy? • Who is responsible for regulating and professionalizing the industry? 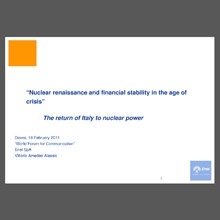 The PPT is available only as a video file. View the PPT video here. The presenter discusses the psychological aspect of online communications, the different roles taken by the social media consumers, and how do they affect the real offline communication. The presentation cannot be disclosed, as per author's instructions. 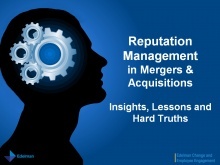 Industry sources consistently estimate that 50 to 90 percent of all mergers fail to realize their potential value. Experts frequently point to challenges with leadership alignment on priorities, clarity of vision, change management and cultural disconnects as sources of lower than expected performance. Strategic organizational communication can help mitigate these factors and position companies to thrive during the transition. 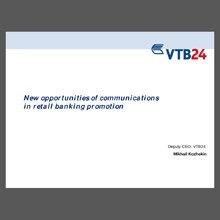 M&A-related change is a prime opportunity to shore up communications infrastructure and systems. "Great content combined with top speaker skills!" The Forum audience enjoyed the opportunity to take part in a "blind" discussion moderated by Jolyon Kimble - Forum Committee Member. The focus was set on the current situation in Egypt and the Middle East - viewed through the prism of communication with reference to the crucial role of the new/social media channels. Two experts from the region shared their visions of the future changes towards a higher level of democracy fostered by internet: Nicholas Labouschagne, strategic adviser in the Dubai Government, and Sultan Al Bazie, consultant from Saudi Arabia. The audience joined in with interesting comments and provocative questions. The overall conclusion was that today the world is witnessing a revolutionary social media effect that creates opportunities for a massive rise towards democratic changes within the governmental structures of the region. 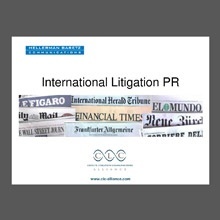 Globalization means that PR crises with international implications are becoming the norm, rather than the exception, thus calling for a new kind of approach: litigation PR. Building and loosing reputation in today's media society depends on mediated communication. 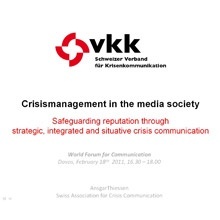 Hence, crisis communication is a crucial driver of reputation safeguarding. Over the past few years, academic research has been systematizing crisis communication, explicitly refraining from any case study analysis. In the current communications environment, where companies' reputations rise and fall quickly based on consumer perceptions and preference, online engagement is increasingly important to defining success. But what drives that online engagement? 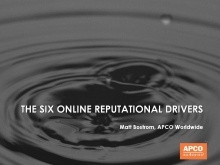 Research shows that there are six key factors that drive online reputation whether it is for a company, organisation or government. This presentation examines each of those factors, and provide real-life examples of how they work together in defining an organisation's overall reputation.